Whew! Liz works me harder than my day job. Every other day she’s demanding a new blog post from me. I have law-breakers to catch, woman! So she told me to tell you, the anthology, Cupid Painted Blind, is FREE on Thursday. (Girl, are you sure?) Yep, that’s right free is what she said. 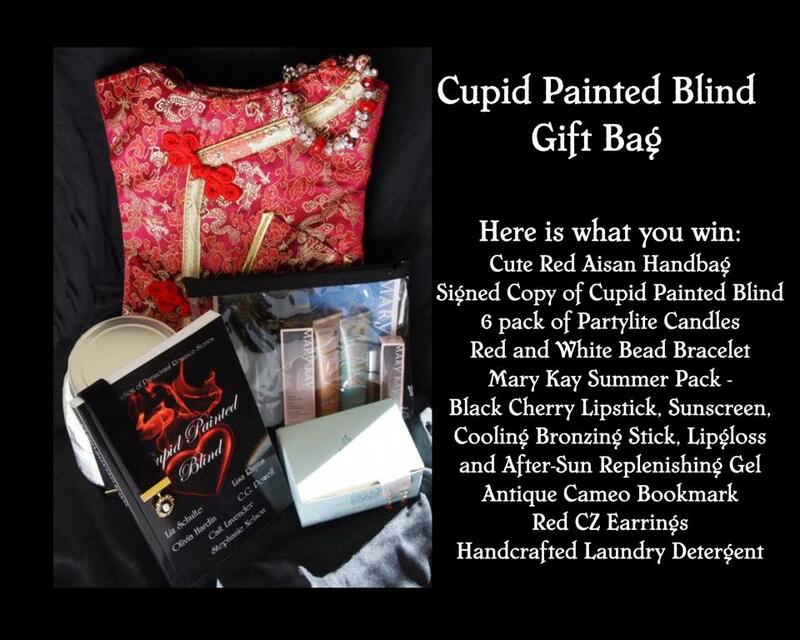 *shakes head* So pick it up here and enjoy. There’s also a pretty freaking awesome gift basket and a paperback giveaway too! Anyway back to my post because the click of her fingers on that keyboard spells life and death for me. 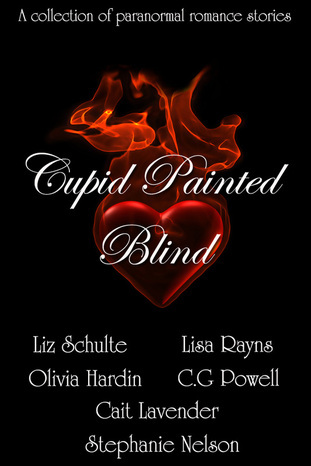 I’m not only doing this blog post, but I’m also going to do a meet and greet with you people about Cupid Painted Blind. I’m sort of excited to meet the rest of the cast. I mean Dorian Hade *swoon city*. Sarina, I know that siren has some stories to tell. Langston, that mysterious giant can’t avoid my questions forever. Jack, I’ve been looking for a hot, brawny sparring partner. And Autumn has quite the story of her own. The point is you’re in for a treat. Not only do you have those people to talk to, but you have me. And I have the scoop on everyone in the Abyss. Yes, that’s right. If Liz expects me to do this then she can’t stop me from talking about Liv…or Holden for that matter (though knowing Holden he’ll have something to say about that). Nevertheless, come hang out. Don’t let me be bored on my day off.